Steven Spielberg Hollywood imploding: How he predicted a disastrous summer at the box office. Last month, Steven Spielberg predicted a Hollywood implosion. Do recent big-budget disasters already prove him right? Courtesy of Peter Mountain/Disney Enterprises, Inc./Jerry Bruckheimer Inc.
Steven Spielberg saw it coming. In June, speaking at a University of Southern California event with George Lucas, the Lincoln director said, “There’s going to be an implosion where three or four or maybe even a half-dozen mega-budget movies are going to go crashing into the ground, and that’s going to change the paradigm”—forcing the industry to rethink its reliance on gargantuan spectacles. A month later, the first part of Spielberg’s prediction has already come true: The latest high-profile calamity at the box office is the ill-buzzed R.I.P.D., which followed such heavily marketed titles as Pacific Rim, The Lone Ranger, White House Down, and After Earth in failing to attract its expected audience. Meanwhile, The Conjuring, a smaller, Exorcist-style chiller from Saw director James Wan, more than doubled its production budget in just one weekend. This summer’s modestly priced films have also done well. The Conjuring, The Heat, Despicable Me 2, and This Is the End—all made for between $20 and $76 million, according to the website Box Office Mojo—have doubled or tripled their costs on the basis of U.S. moviegoers alone. 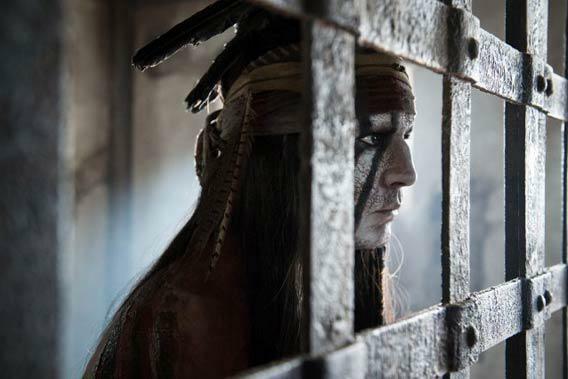 Compare those grosses with The Lone Ranger’s $81.9 million (and budget of $215 million), and the choice as to which type of movie is a better investment seems clear. “There’s going to be a repricing of risk,” says Harold L. Vogel, author of Entertainment Industry Economics. What we’ve experienced over the last half-decade has been the creation of a blockbuster bubble, with all the major studios herding toward the same global “event movie” model. Films with built-in brand recognition are easier to market overseas; action sequences and special effects don’t lose much in translation. Always present, the emphasis on repeating past successes and finding tie-ins and spinoffs has only grown. With administrative costs like accounting and insurance relatively level from film to film, a $200 million superproduction could thus be seen as a safer bet than several $75 million projects. ‪In an interview with New York magazine critic David Edelstein, producer Lynda Obst also pins the current trend toward gigantism on the increased importance of the foreign market, coupled with a collapse in DVD sales, which once provided a safety net for midrange pictures that didn’t pan out. Obst’s new book Sleepless in Hollywood features a list of movies she’s certain wouldn’t get made today, including such Oscar winners as Moonstruck and Forrest Gump. Watching multiple $200 million movies crash and burn is a surreal prospect for anyone who remembers Titanic’s then-unheard-of budget of that size. But numbers on that scale are now commonplace. As early as 2001, Pearl Harbor could be called “dry-docked” for lagging in reaching its $198 million domestic gross. That summer also saw a trend of movies topping the box office for one weekend only, then disappearing to make way for new titles. And increasingly, the movies themselves seem designed for short lifespans. Man of Steel—which has so far “only” taken in $285 million domestically—appeared just seven years after Bryan Singer’s similarly underwhelming Superman Returns. Marvel fans have kvetched in comment threads about The Amazing Spider-Man, a reboot they say was only made so that Sony’s rights to the character wouldn’t lapse. It’s tempting to say that none of these reverse-engineered blockbusters will have the cultural staying power of 1993’s top two summer movies, Jurassic Park and The Fugitive. Yet media historian Douglas Gomery of the University of Maryland cautions against that kind of nostalgia. Although the increased importance of the global market has accelerated studios’ interest in stars, familiar stories, and special effects, those impulses aren’t new. Jurassic Park, after all, was just that summer’s giant lizard movie, while The Fugitive, based on a popular TV property, is akin to “The Lone Ranger, but successful,” he says. Indeed, cable offerings, Netflix, and video-on-demand come up as examples of the increased competition Hollywood now faces. With Spike Lee turning to Kickstarter, Steven Soderbergh making Behind the Candelabra for HBO, and Joss Whedon filming a black-and-white Shakespeare movie in his backyard, the paradox, amid a field of crashing tent poles, is that it’s now easier to make a small film than ever. While Kyle Franke, head of development for production-and-sales company XYZ Films and a former development exec at Fox, doesn’t see the theatrical model ever going away as an ideal—“Most people at the Oscars feel like they’re happier to be there than at the Emmys,” he says—he and XYZ founding partner Aram Tertzakian point to their success at working on a small scale with The Raid: Redemption, an Indonesian genre film that easily recouped its budget of $1 million.